This is one of the gold nuggets of Alfa Romeo's history; the name Giulia has a history, Giulietta is the Italian diminutive of Giulia therefore a larger Giulietta deserved to be called a Giulia, this also subtlety enhanced the mystique by comparing the car with its jewel like predecessor. Released at Monza racing circuit on the 27th June 1962 it was to become one of the best loved Alfa Romeo's ever. The body is actually very aerodynamic and surprisingly quiet at speed. The three box saloon shape begins to show the aerodynamic tweaks when closely inspected, the lip on the rear of the roof, the curved windscreen, the slight curve behind the headlights and the cam tail all help to get the drag factor down to a very respectable 0.34. The car when it was first released had the new 1600 cc twin cam engine and was fed by a twin choke down draft solex carburettor with a compression ratio at 9:1 and this gave a very respectable 92 bhp, and this was enough to give the car a top speed of 103 mph. The interior originally had bench seats front and rear so there was seating for 6 and it also had a strip Speedo with an umbrella handbrake. Vision was particularly good with masses of glass area and thin pillars. For passengers there is plenty of leg room and there was even a central arm rest in the rear, the boot is huge and has plenty of room for everything, including the kitchen sink if required . The gear box was a five speed unit and is a joy to use with a very light positive action. All the ratios are very well spaced for a sporting drive. The clutch is very light and was originally rod operated however this was soon changed to hydraulic operation. Steering is by steering box and can be either recirculating ball or worm and roller but in either case it is light, but weights up nicely when cornering. Road holding is quite good considering the car is on 165 R14 tyres and it is probably best to leave it on these as the slightly wider 185 R14 tyres loose a lot of the delicacy of handling and it is virtually impossible to fit anything larger than that as they will hit the rear wheel arches. The car very soon got a reputation for performance with the Italian Police using them as highway patrol cars, they even managed to get a drive on part in the Italian job chasing Michael Cain's Mini's around. The Giulia Super featured twin 40 DCOE carburettors and this upped the power to 105 bhp, and then by increasing the compression ratio they got the power up to 112 bhp in the TI version. On the TI version the gear change was on the steering column and the car got round dials, while on the TI Super there is a floor mounted gear change. The TI Super also had bucket seats and a three spoke steering wheel instead of the two spoke version of earlier models. There were also detailed changes to the TI's body, which was made of thinner gauge steel, fixed plexi glass windows were used in the rear doors the car came with no sound deadening, all this got the weight down by a massive 200 kg, unfortunately the TI Super was only built for two years from mid 1963 and only 501 of these very successful racers were ever built as the competition department soon turned its attention to the mighty Giulia GTA's. These TI Super's are one of the most collectable Alfa Romeo saloons and most will have extensive race histories. 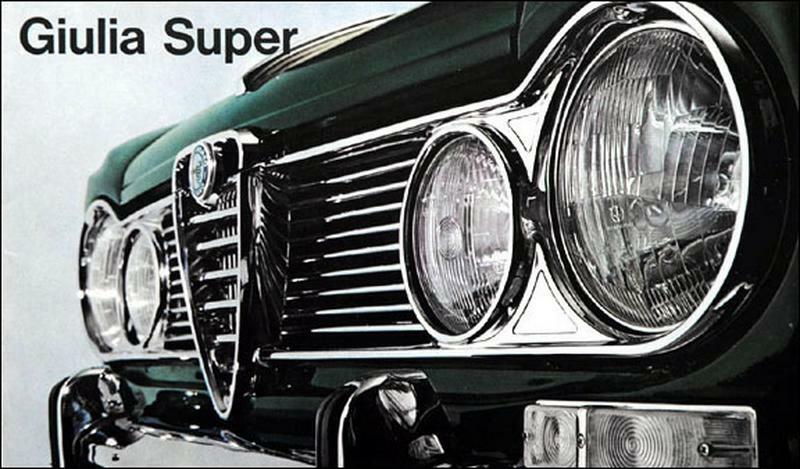 Interestingly the Giulia saloons can often be distinguished by the number of bars on the grill; for example a Giulia 1300 Berlina can be distinguished by its three widely spaced chrome strips in the grill while the Giulia Super had five chrome bars. 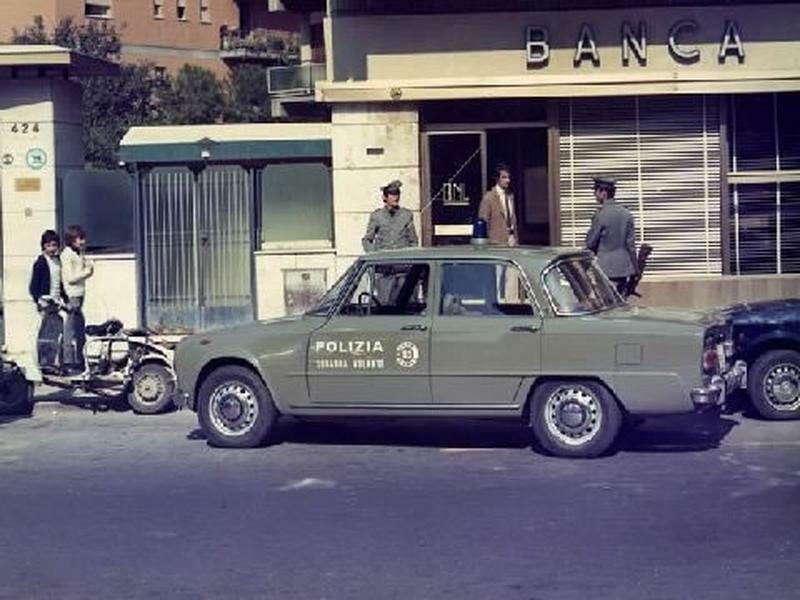 Alfa Romeo produced over 500,000 Giulia Saloons, but by 1974 the design was looking tired and it was replaced by the Nuova Super. 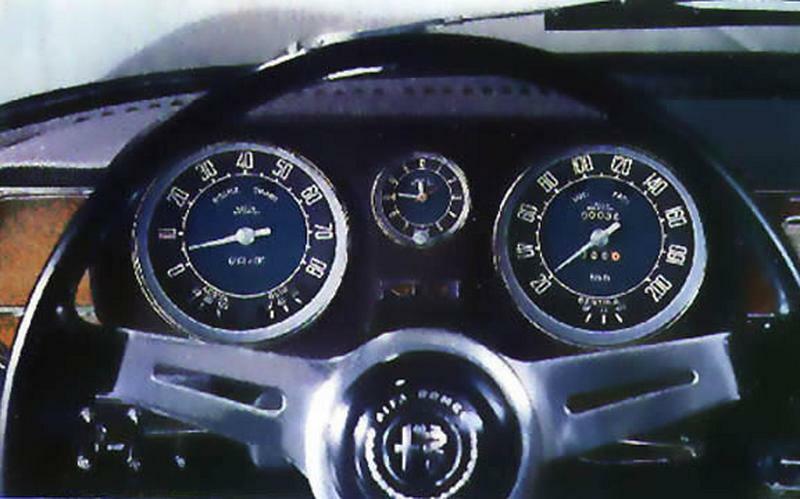 The Nuova is not at present considered to be as desirable as the earlier model being a squared off body without the nice little details, however the Nuova did get the larger 1750 and 2000 cc engines which considerably improved performance. 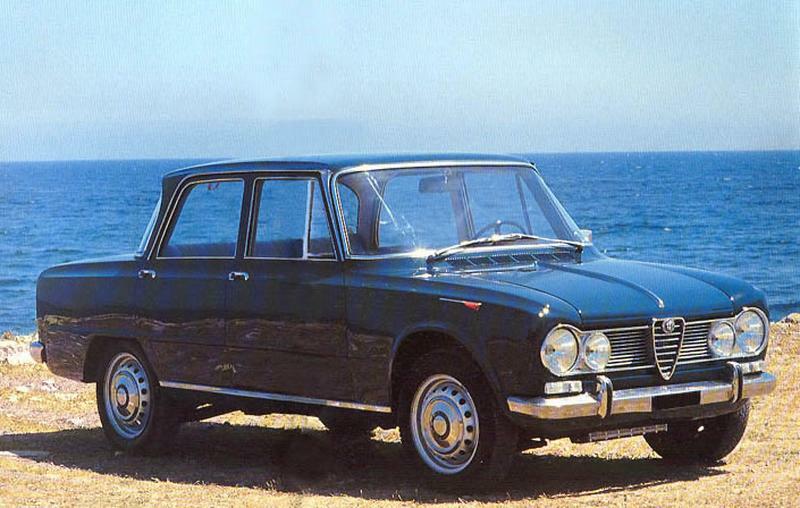 The Nuova managed to stay in production until 1976 when the diesel was finally dropped.